Reading, "Don't Lick the Dog" to a group of summer camp participants in Cane Garden, August, 2012. 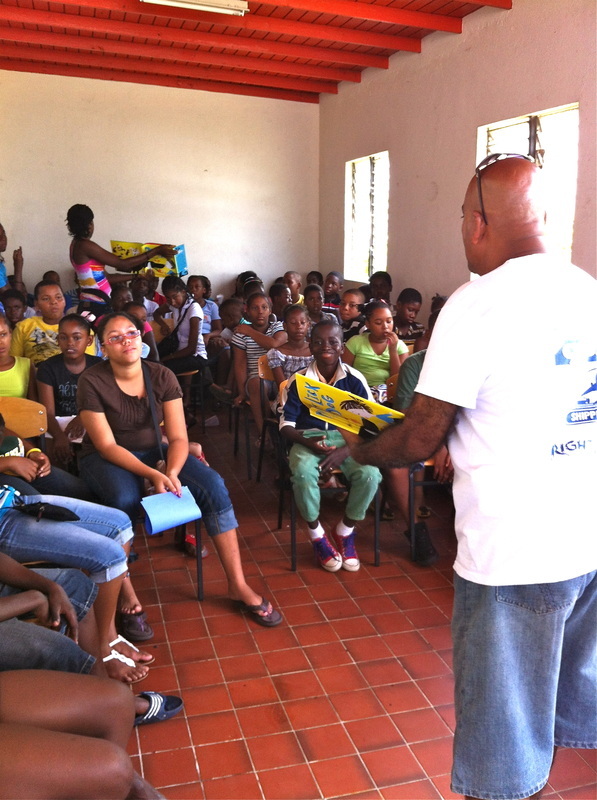 VSPCA is happy to visit your community or school group for a humane education presentation, free of charge. We are mobile, and can construct an interactive and lively presentation based on your group's requests and specific needs. Please contact us to schedule an outreach!